The all-new Venom dive mask lets you see more during your dives, while making you look like a pro. The all-new Venom mask from Atomic lets you see with exceptional clarity. 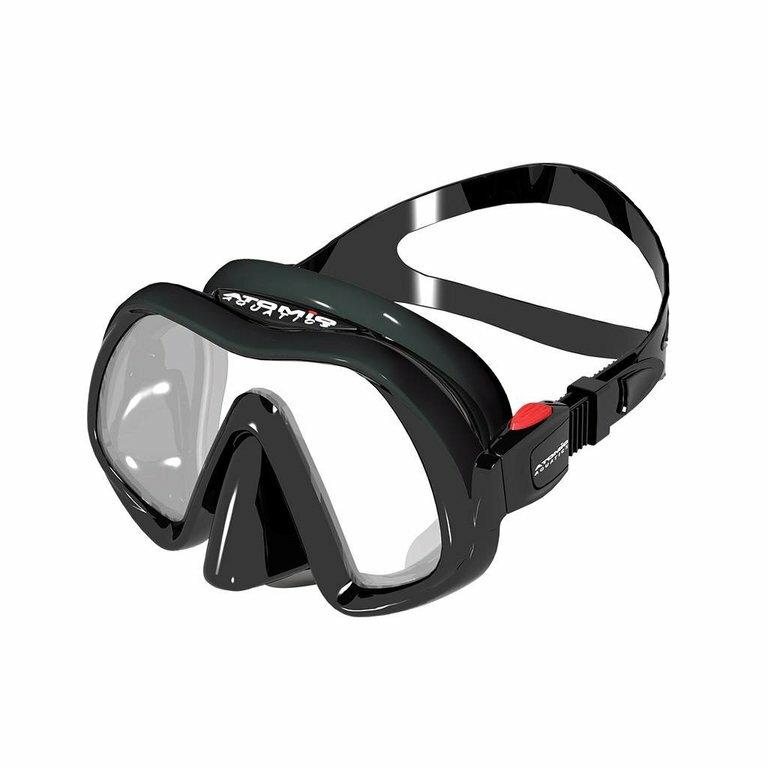 The field of vision from this mask is designed to meet the highest standards and provide the maximum viewing area. It’s truly one of the best masks for clarity on the market. 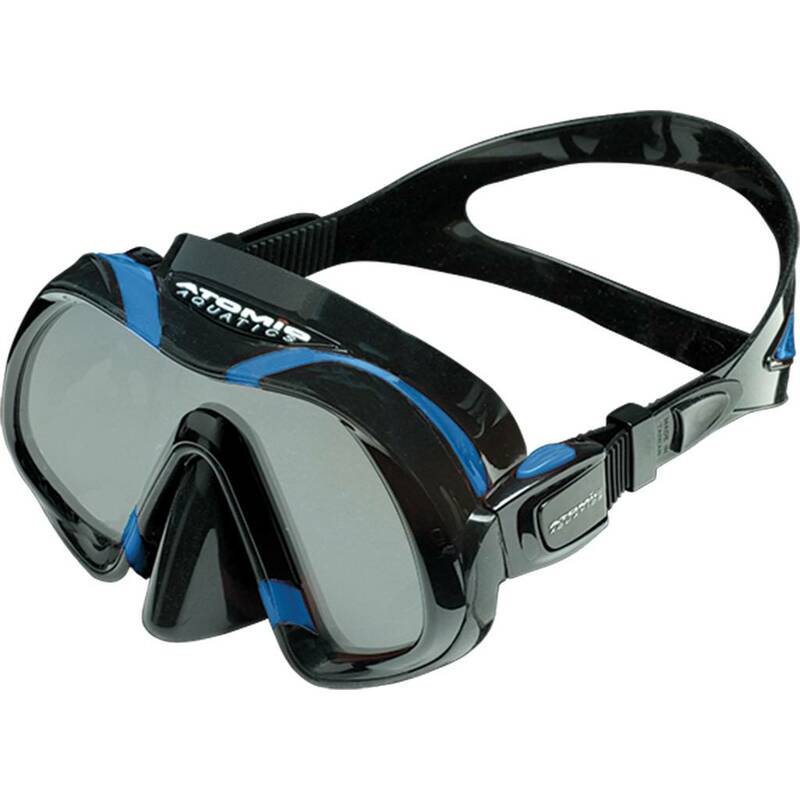 The low-volume profile also makes this mask easier to clear, and makes it better equipped with easy squeeze adjust buckles that compliment its hydrodynamic design. While you can see everything, everyone will think you look like a pro. The all-new UltraClear Schott Superwite glass lenses fit perfectly with the Venom’s new lens construction. These lenses are imported from Germany and are better quality because they eliminate the green tint from the lenses that are used in most masks. This tint is caused by leftover iron impurities. The UltraClear lenses have an exciting optical quality glass with extremely high light transmission and without any colour distortion. Also, the lens automatically maximizes the light available for improved visual acuity, even in low-light environments. 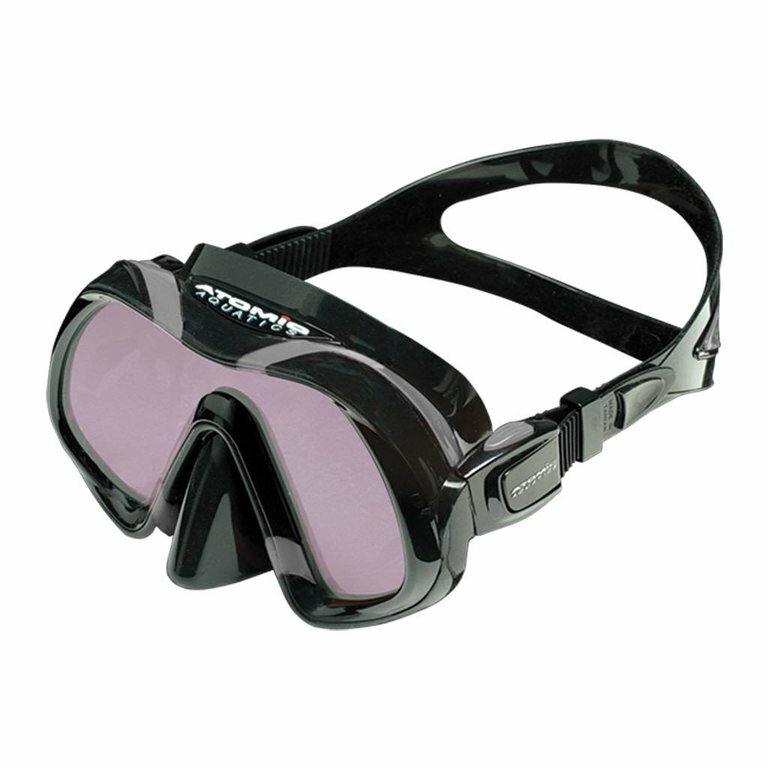 The Venom mask revolutionizes the feel of the mask on your face. Made with an incredibly soft yet durable silicone, known as Gummi Bear ultra-soft, it accommodates any kind of face and takes full advantage when creating a watertight seal. Although the skirt is extremely soft, it won’t distort, fold or collapse under pressure or in harsh environments. The mask also features a more rigid silicone that creates a double-feathered edge effect. This makes the mask and the seal a better fit on any face.